Emed > Exercise and Sport > Confirmed: You Can’t Outrun a Bad Diet! Observing that levels of physical activity in Western nations have remained unchanged for the past three decades yet concurrently obesity rates have soared, the editorial argues that it is calories not lack of exercise that is driving the obesity crisis. Citing the Lancets Global Burden of Disease 2013, which concluded that poor diet contributes to more disease than a combination of inadequate physical activity, alcohol and smoking. The report found that 40% of people with normal body weight will suffer from metabolic abnormalities typically associated with obesity including hypertension, dyslipidaemia, non-alcoholic fatty liver disease, and cardiovascular disease. The editors blame several key areas for their observations. 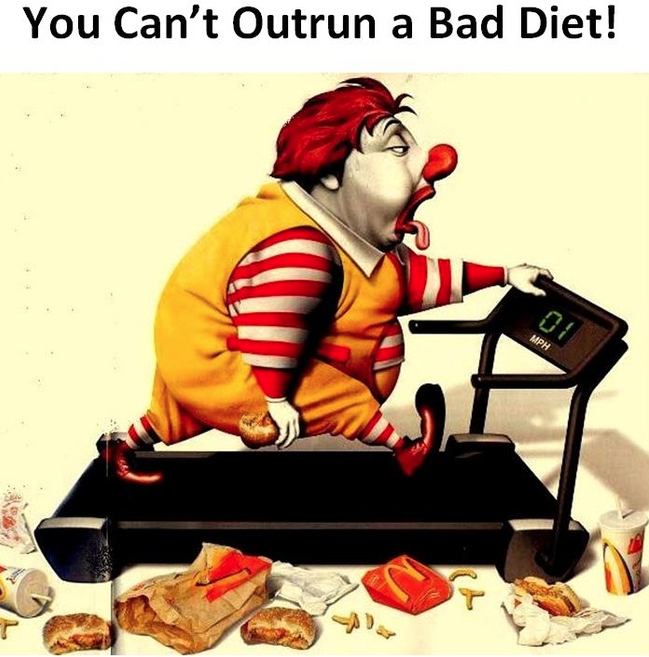 The food industry clearly promotes exercise over diet. As consumers we are told that in order to maintain a healthy weight we need to calorie count. Many of us also still believe that obesity is entirely due to lack of exercise. 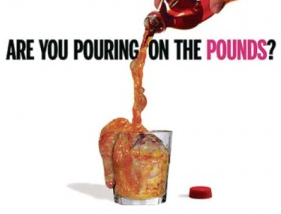 The marketing giant Coca Cola for example pushes the message that ‘all calories count’; they associate their products with sport, suggesting it is ok to consume their drinks as long as you exercise. With tactics reminiscent of the tobacco industry, the campaigns and public relations of the food industry are chillingly similar. Misinformation and distortions of truth are achieved using a ‘corporate playbook’ of denial, doubt, confusing the public and even buying the loyalty of unscrupulous scientists, at the cost of millions of lives. What is evident is that the kind of calories consumed matter. Calories from sugar promote fat storage and hunger; fat calories induce satiety or a sense of fullness. In an analysis of worldwide sugar availability, it was revealed that for every excess 150 calories of sugar (one can of cola for example), there was an 11-fold increase in the prevalence of type 2 diabetes, in comparison to an identical 150 calories obtained from fat or protein. This was independent of the person’s weight and physical activity level. It is clear that the public health messaging around diet and exercise, and their relationship to the epidemics of type 2 diabetes and obesity, has been corrupted by vested interests as purported by marketing of the food industry. Nutritionally deficient products that are legitimised through misleading and unscientific information has to stop. The amount of money big food companies spend on advertising (annually Coca Cola $3.3 billion globally, McDonalds $1.8 billion globally for example) is obscene. Consequently health messages released by governments (such as sugary drink tax, banning of junk food advertising) are easily suppressed and/or superseded. These large companies are purely about profit and don’t care that their ‘food’ products are ruining the health of the population, irrespective of age, gender or race. Healthy choices must become the easy choices. By reversing what exists now, this will have a greater impact on our health – even over counselling and education – although these need to be part of the health equation. We need to reclaim the power of our own health and not buy into the junk food industry public relations juggernaut. By consistently eating sugary, unhealthy foods, even if we exercise, this will not compensate for the ill effects of a long term unhealthy diet.